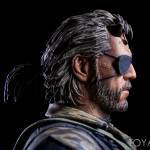 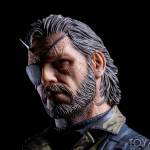 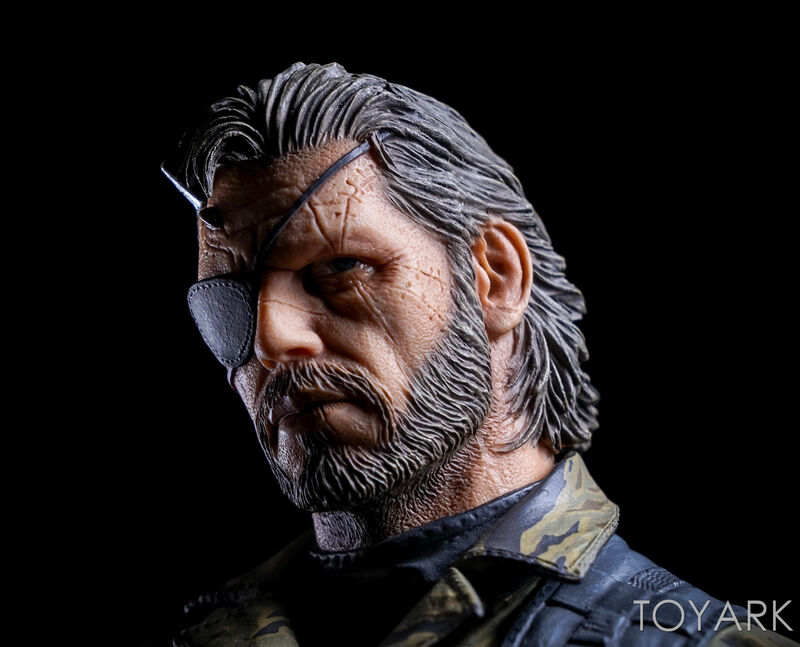 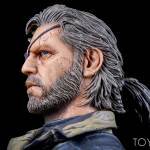 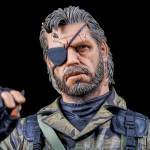 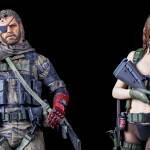 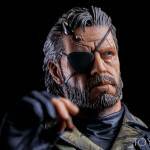 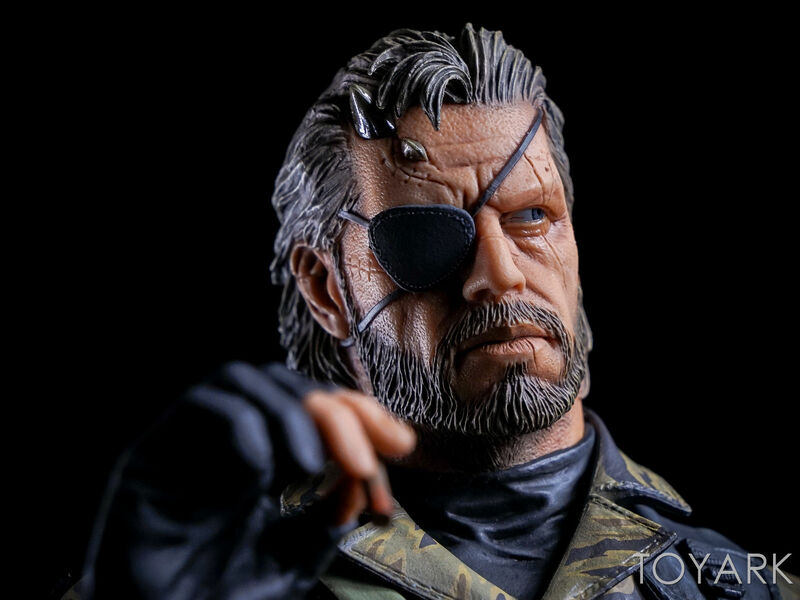 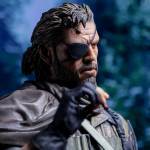 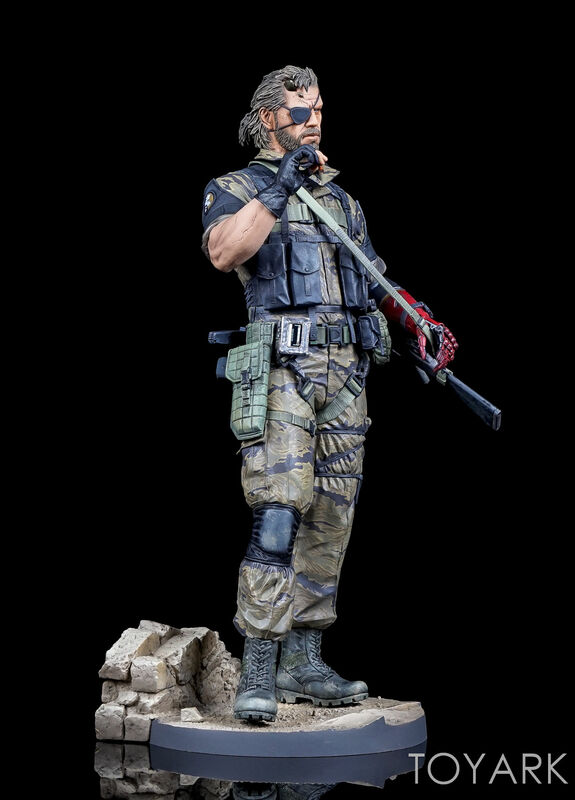 The new Metal Gear Solid V: The Phantom Pain – Venom Snake 1/6 Scale Statue is now available. 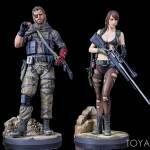 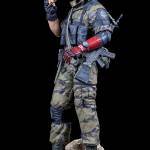 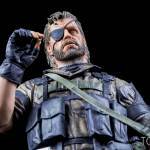 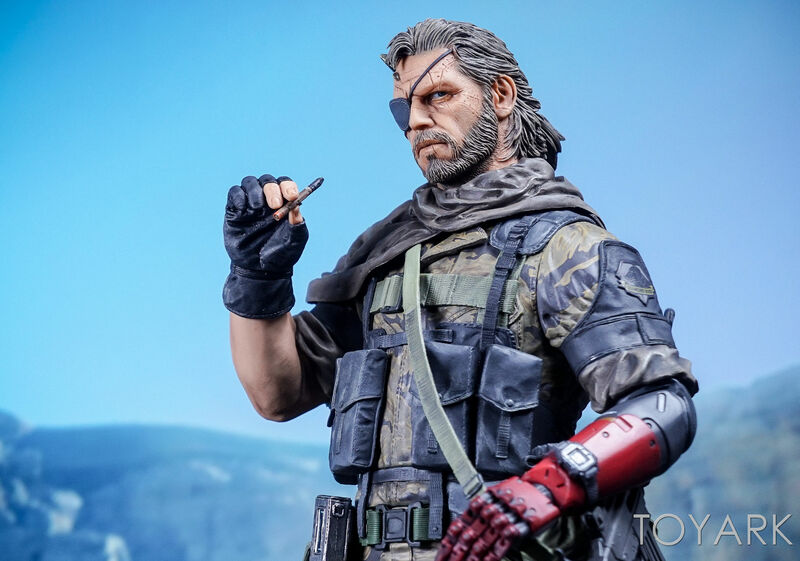 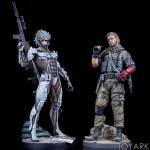 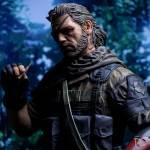 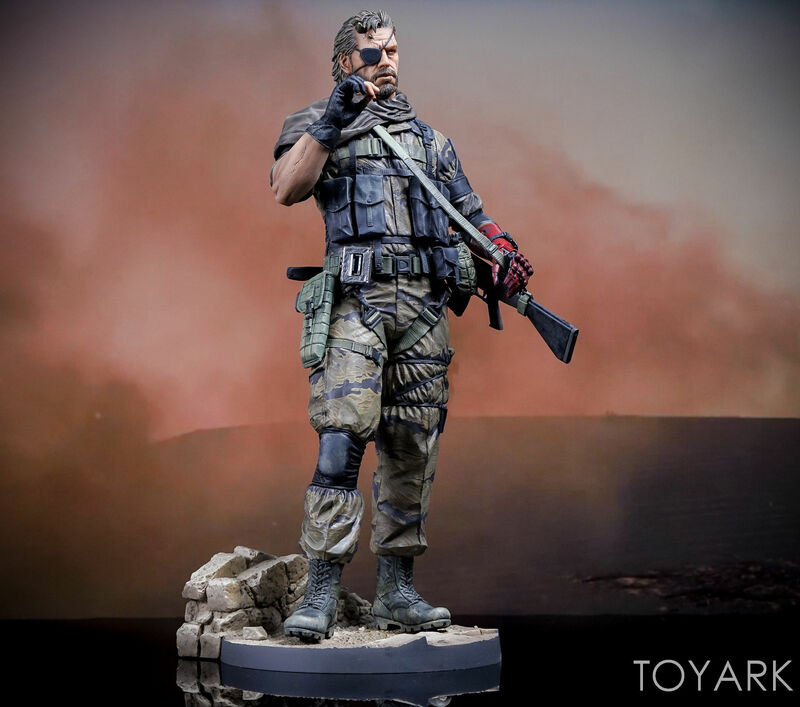 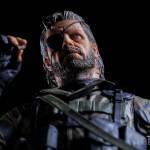 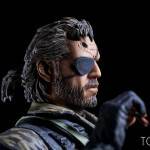 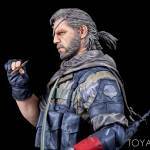 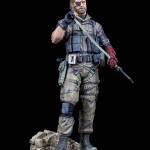 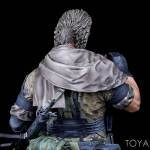 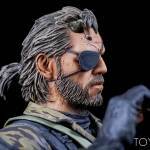 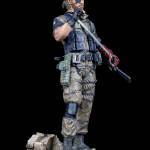 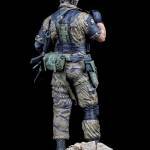 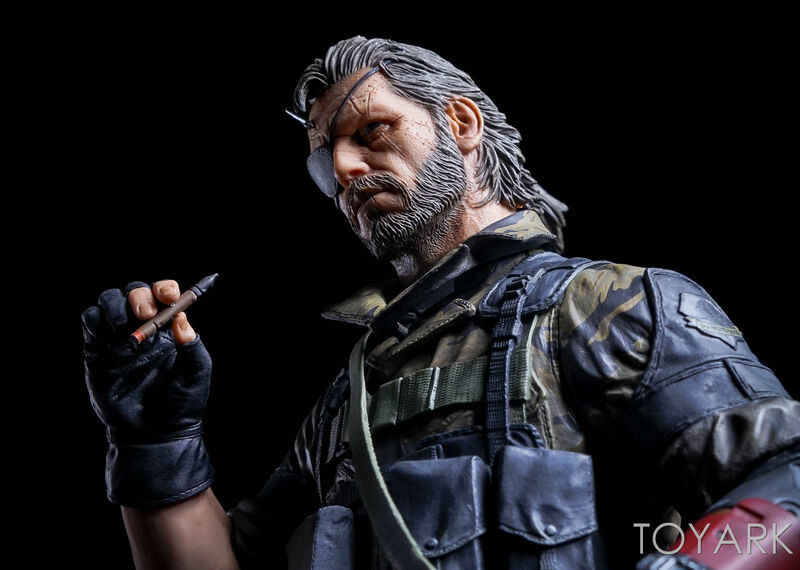 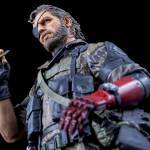 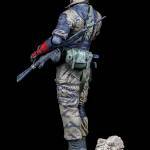 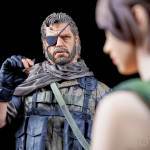 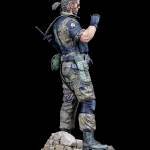 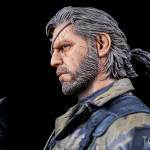 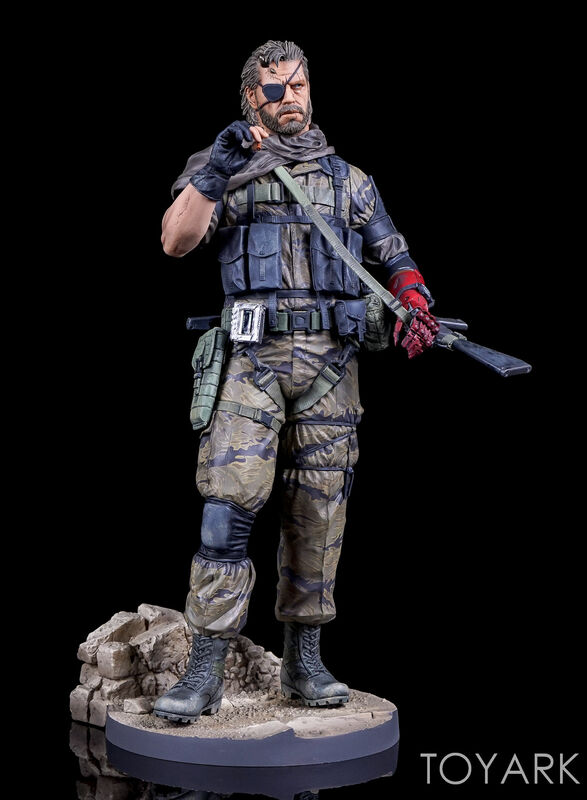 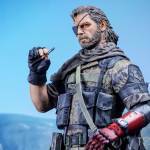 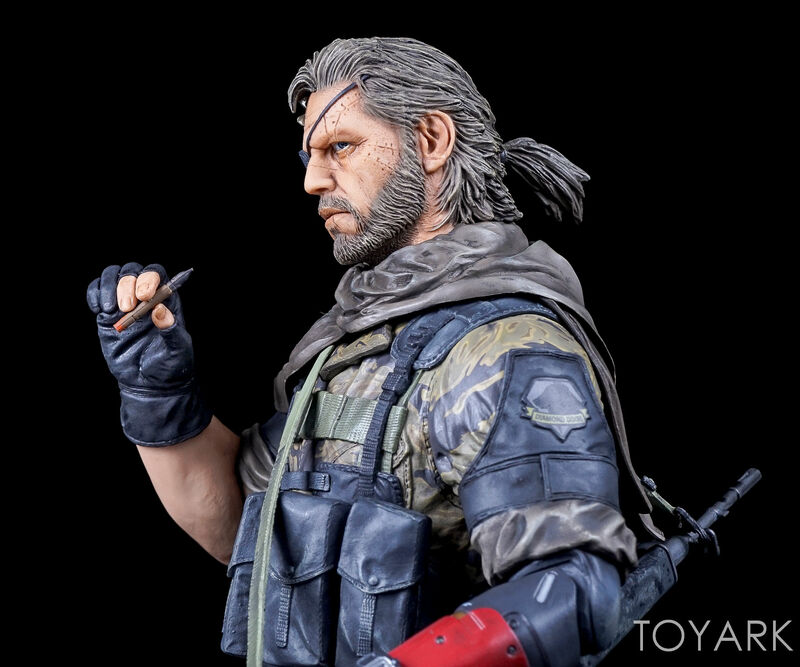 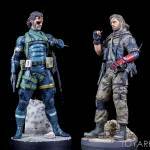 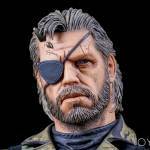 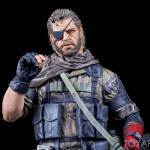 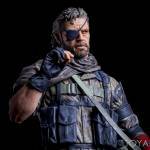 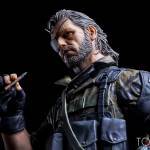 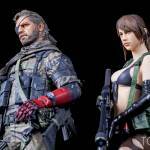 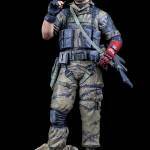 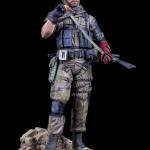 The Gecco produced statue is priced at $299, is a companion piece to the previously released MGSV Quiet 1/6 Scale Statue. 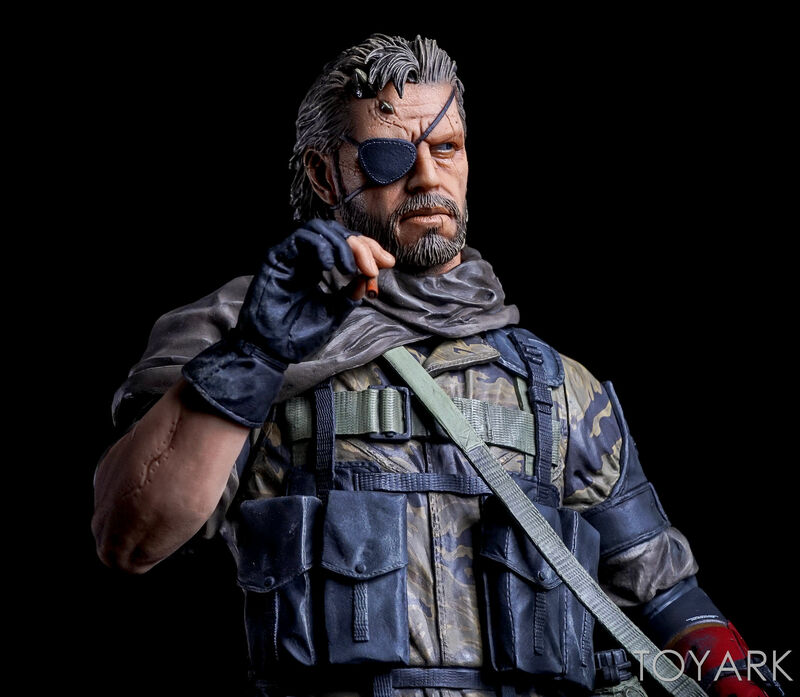 The statue includes the ability to display with our without his scarf. 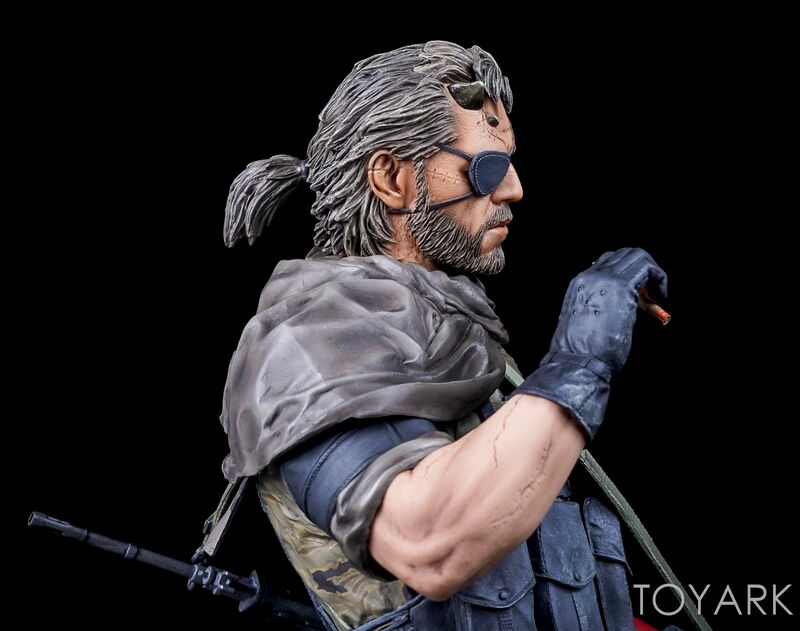 Accessories include a rifle and a cigar. 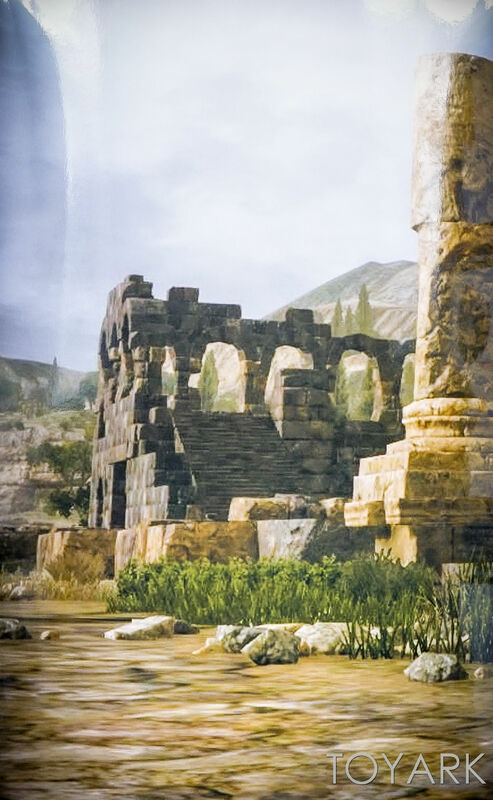 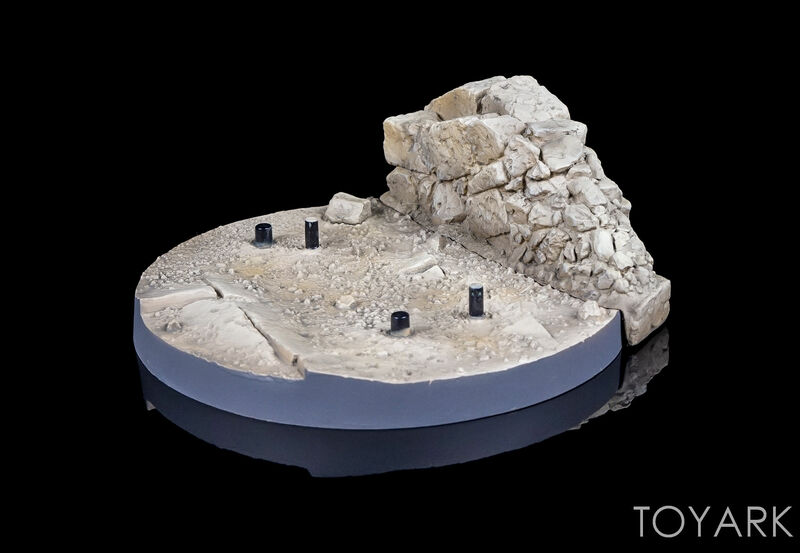 The statue also includes a themed display base from the Aabe Shifap Ruins, much like Quiet’s display base. 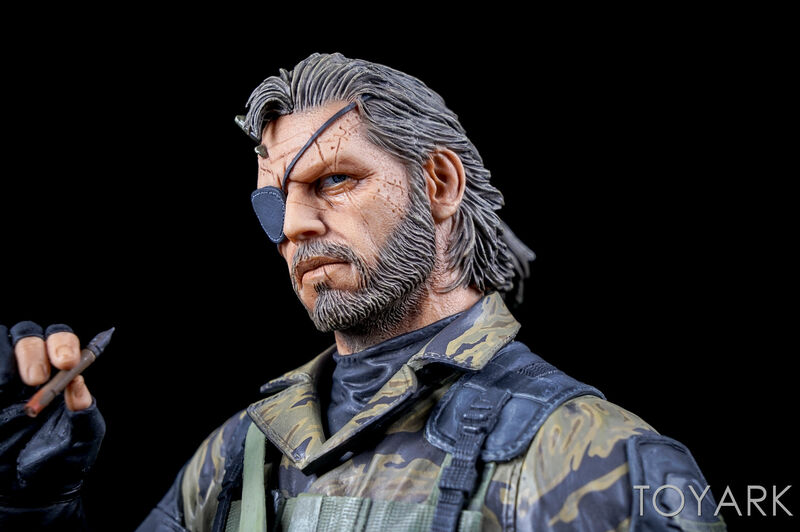 It stands at 12″ tall and features a mix of traditional and digital sculpting techniques to achieve an authentic and realistic look. 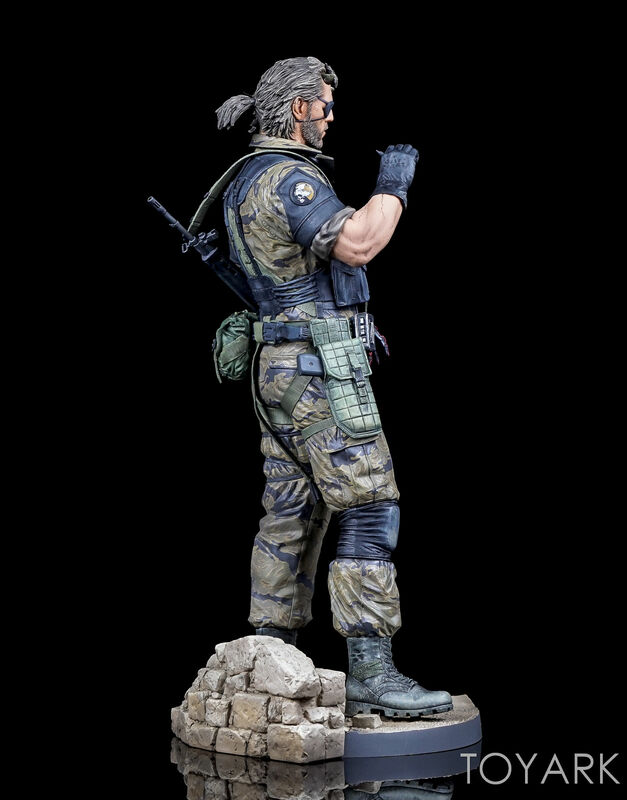 Gecco sent along the statue for us to check out. 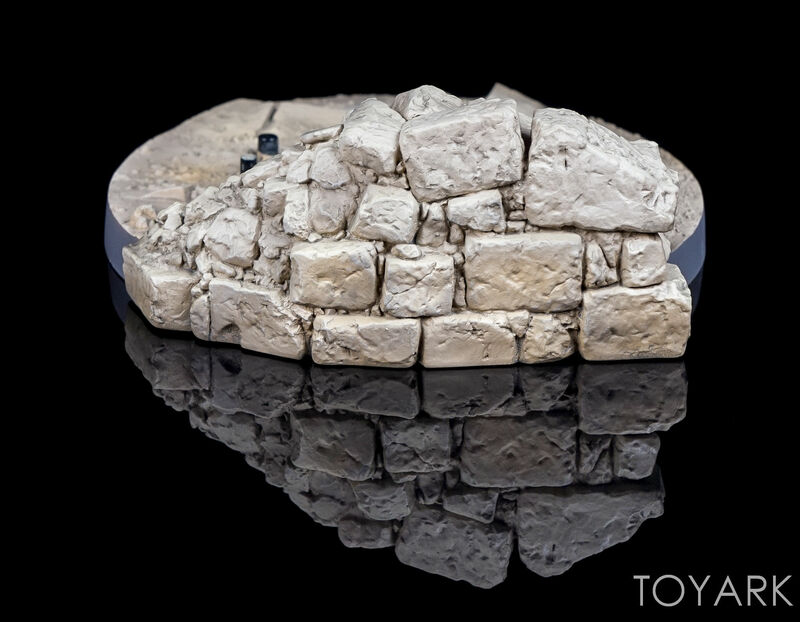 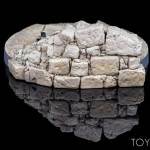 We have over 60 high resolution images and a full review. 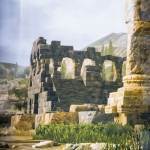 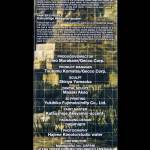 You can check them out by reading on. 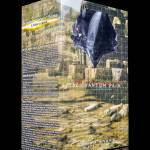 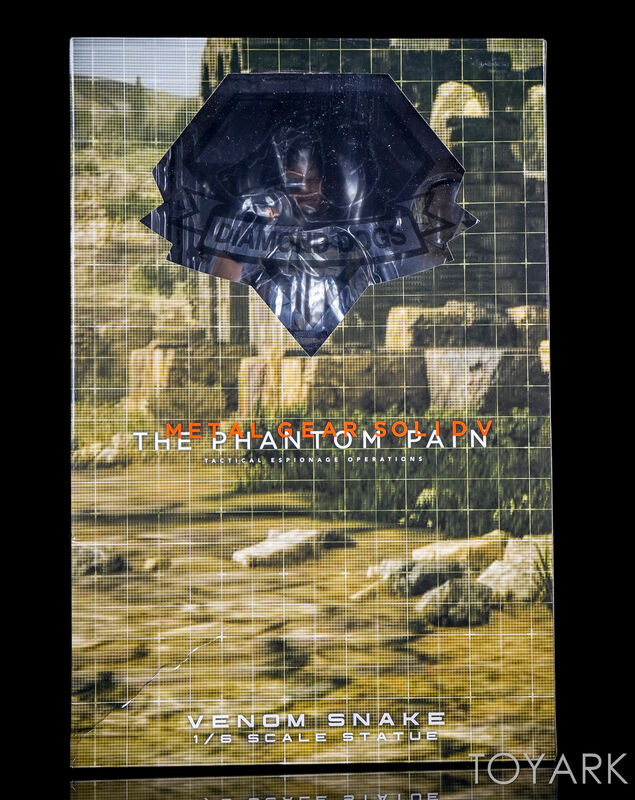 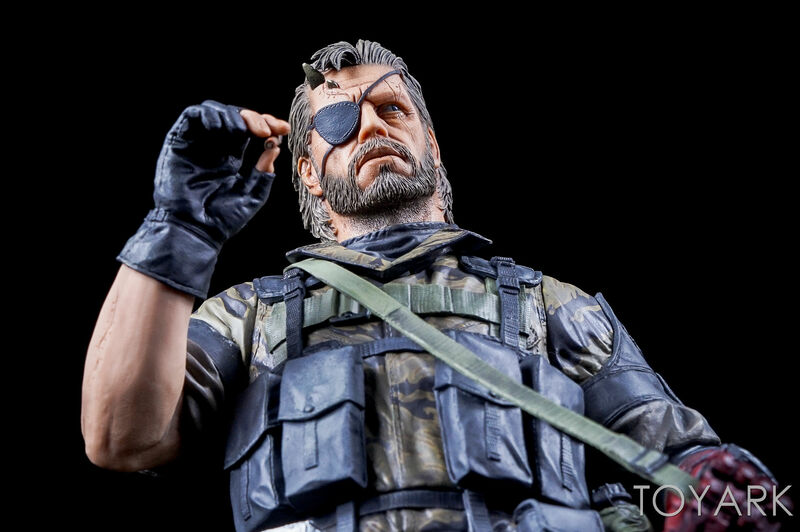 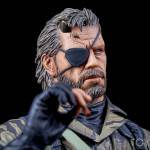 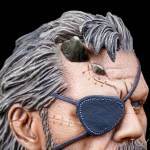 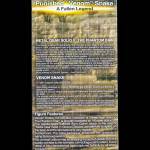 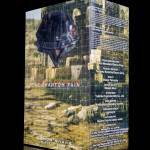 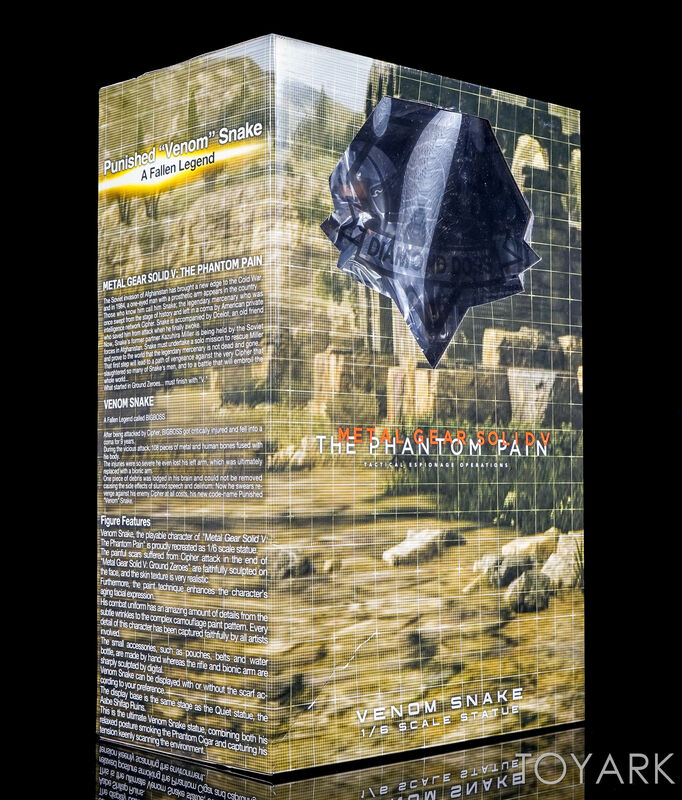 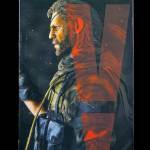 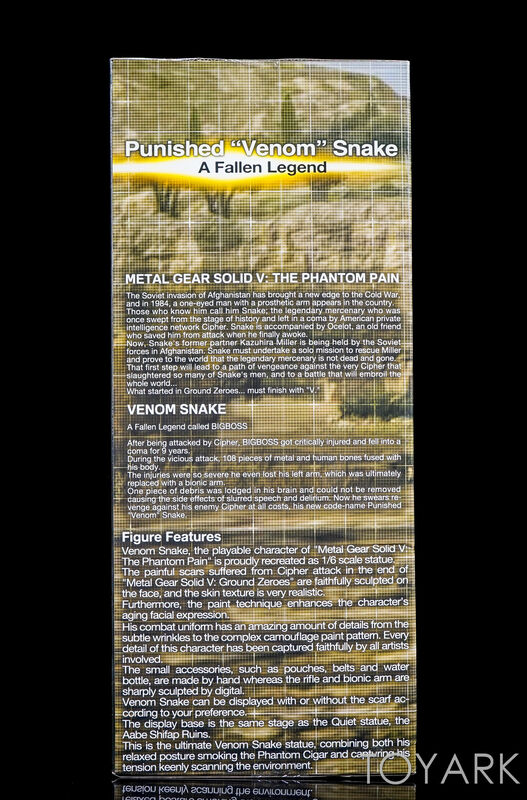 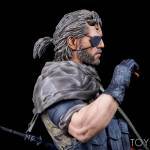 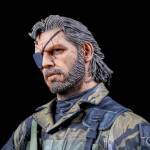 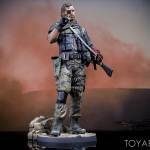 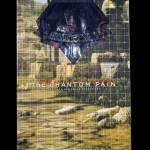 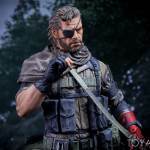 The Phantom Pain Venom Snake Statue comes packaged in a large, collector friendly window box. 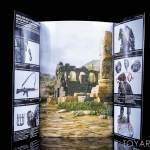 The front of the box has the main window display, allowing you to see the statue inside. 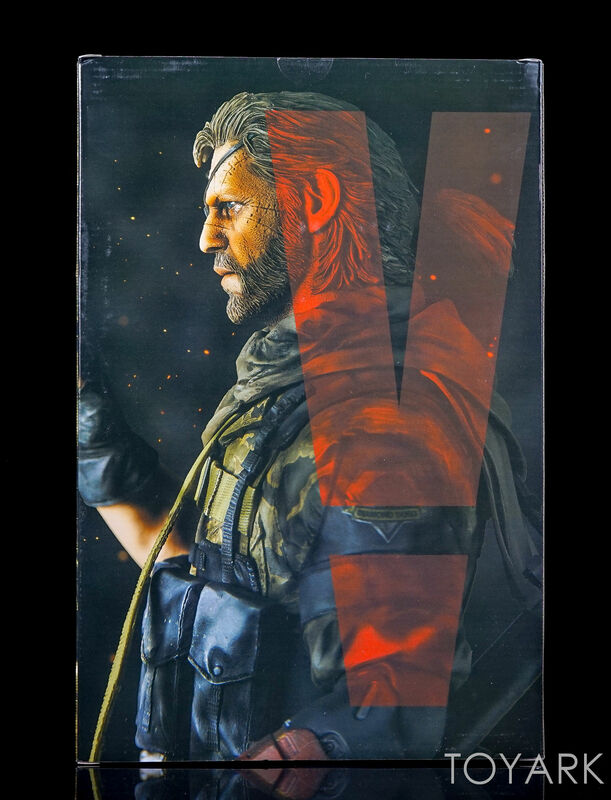 The sides feature details on the artists, the statue and Metal Gear Solid V. The back of the box has a great artistic photo of the statue. 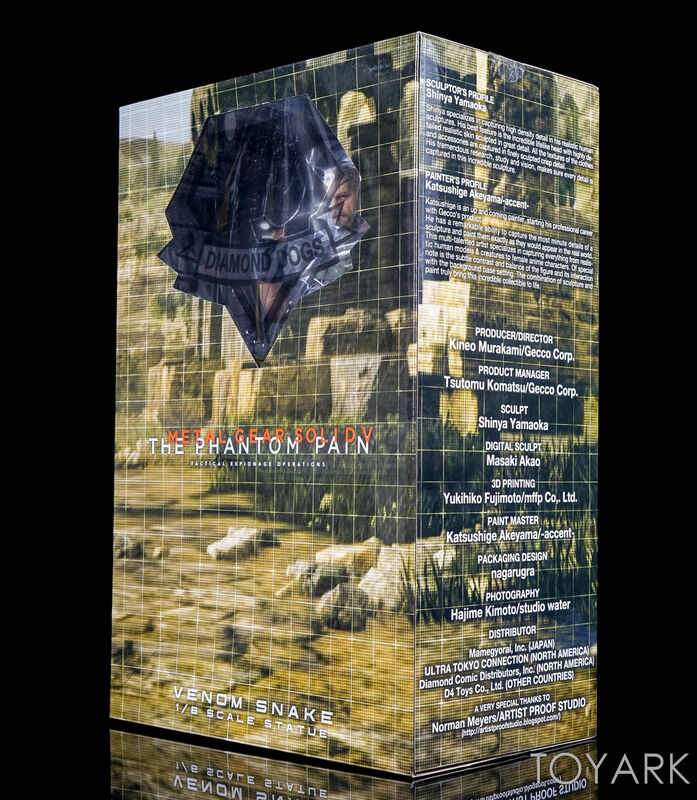 Inside, the statue and accessories all sit in a plastic clamshell tray. 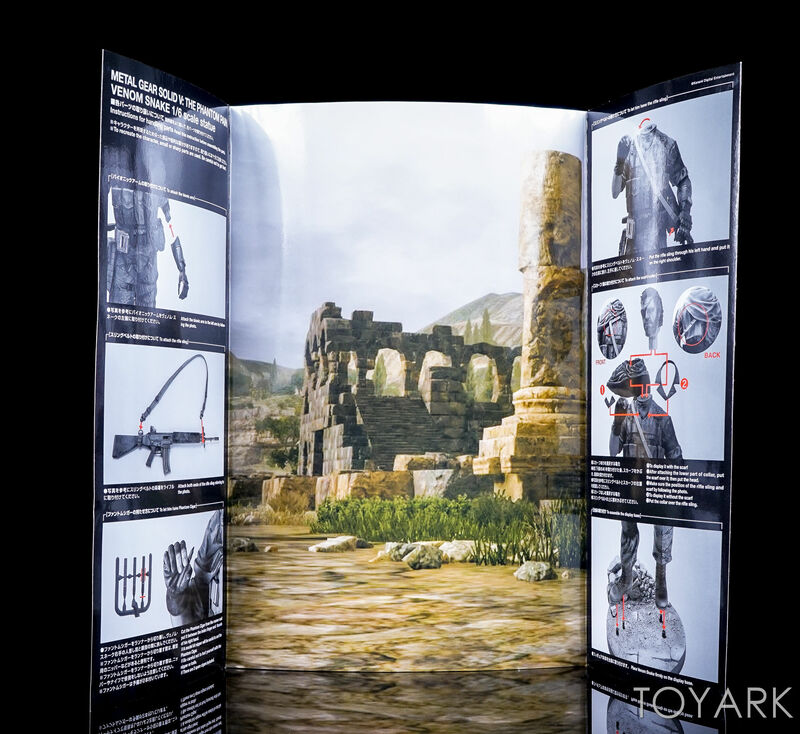 Also included is a cardboard backdrop that also has assembly instructions on it. 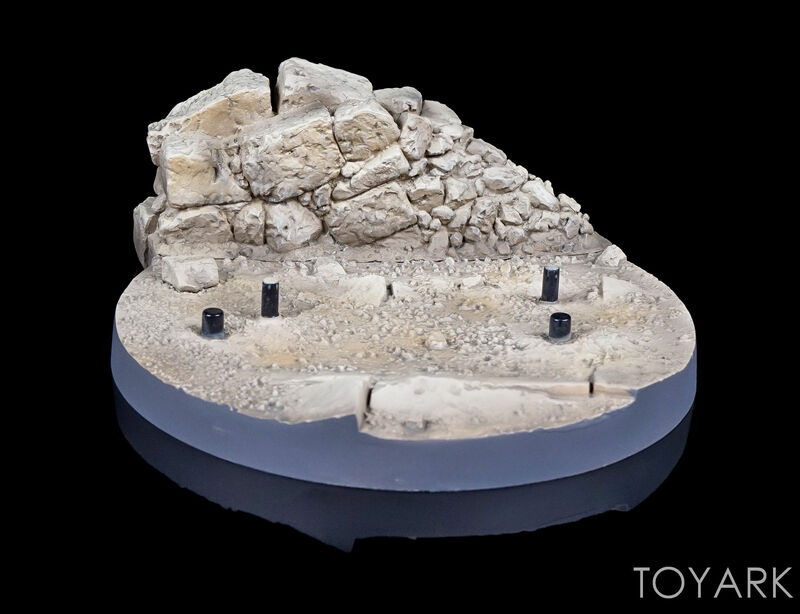 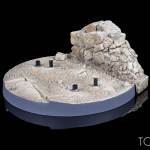 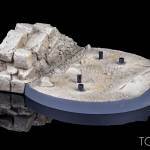 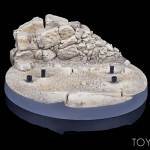 The design allows for the statue to be placed back in the tray and box easily for storage. 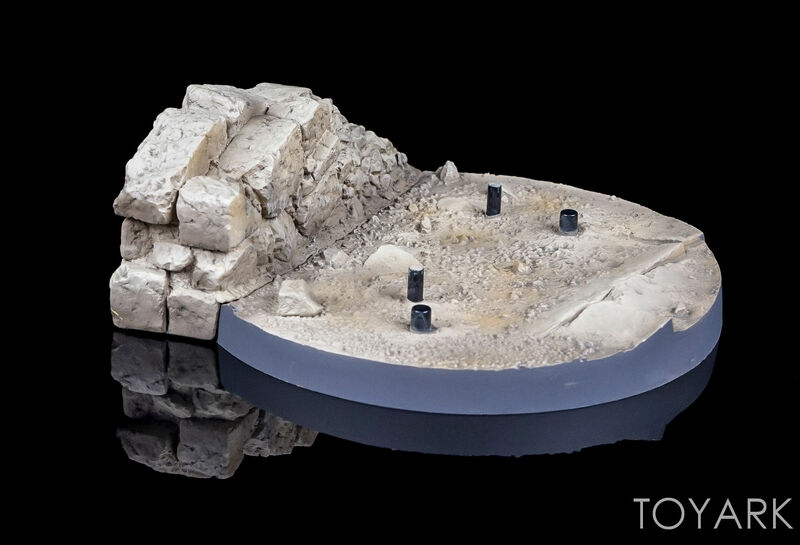 The statue requires a small bit of assembly before it is ready for display. 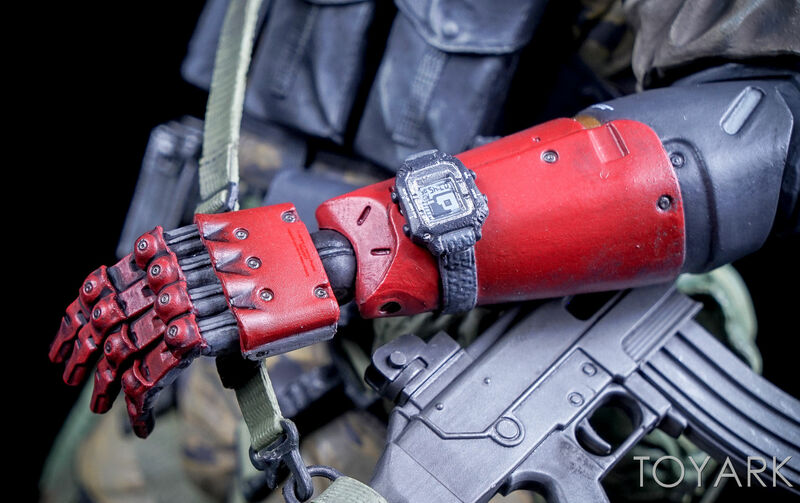 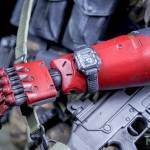 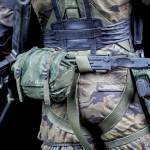 First you will need to attach the band to the rifle, then the robotic hand to the figure. 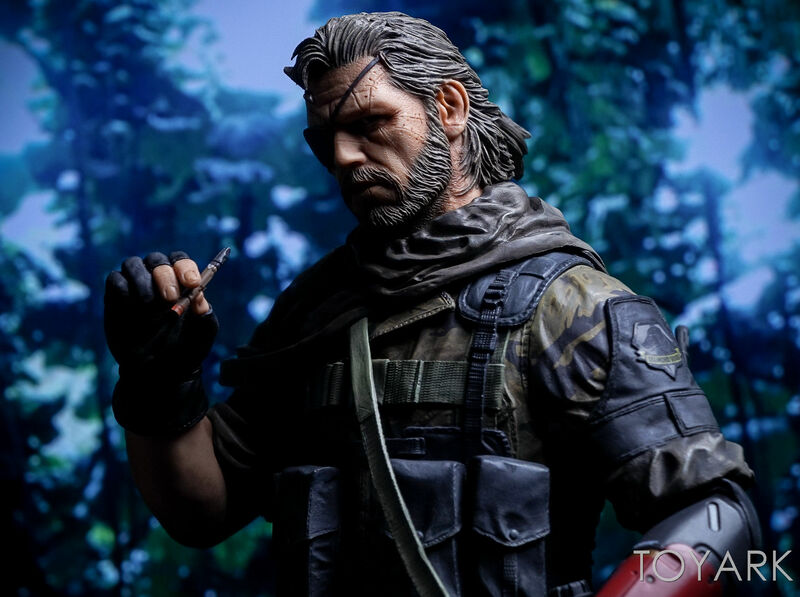 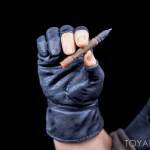 Then you can attach either the collar for the shirt or the scarf as well as attaching the cigar to his right hand. 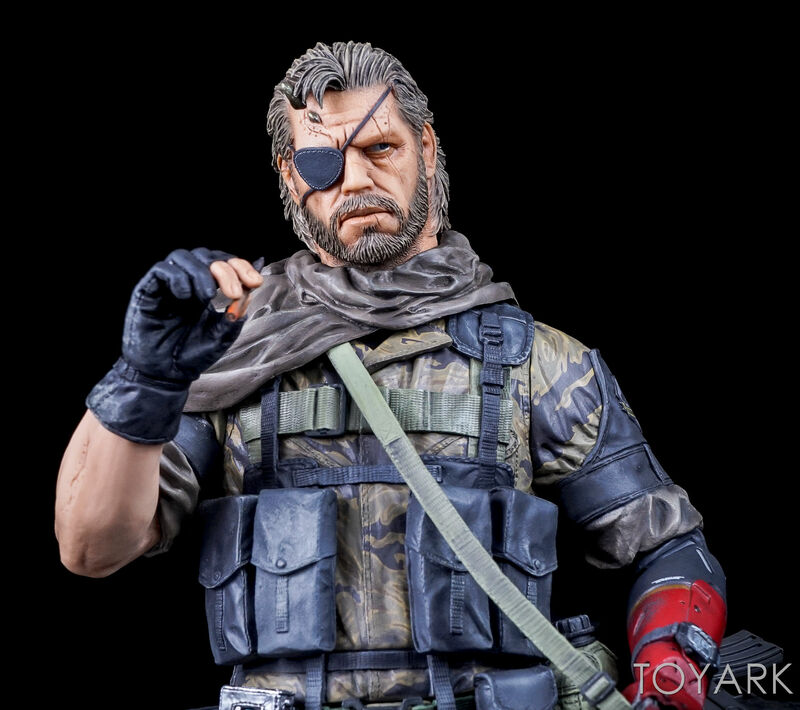 all that’s left is to attach Venom Snake to the included display base. 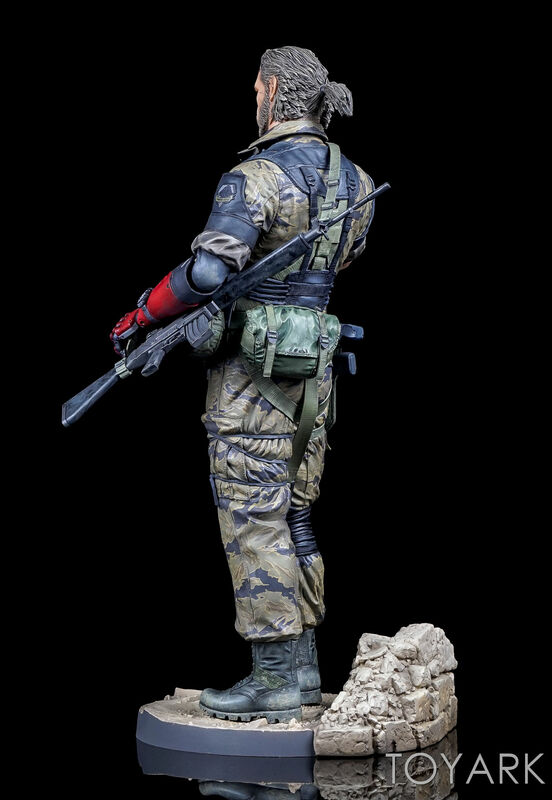 It shouldn’t take more than a couple of minutes to have the statue ready for display. 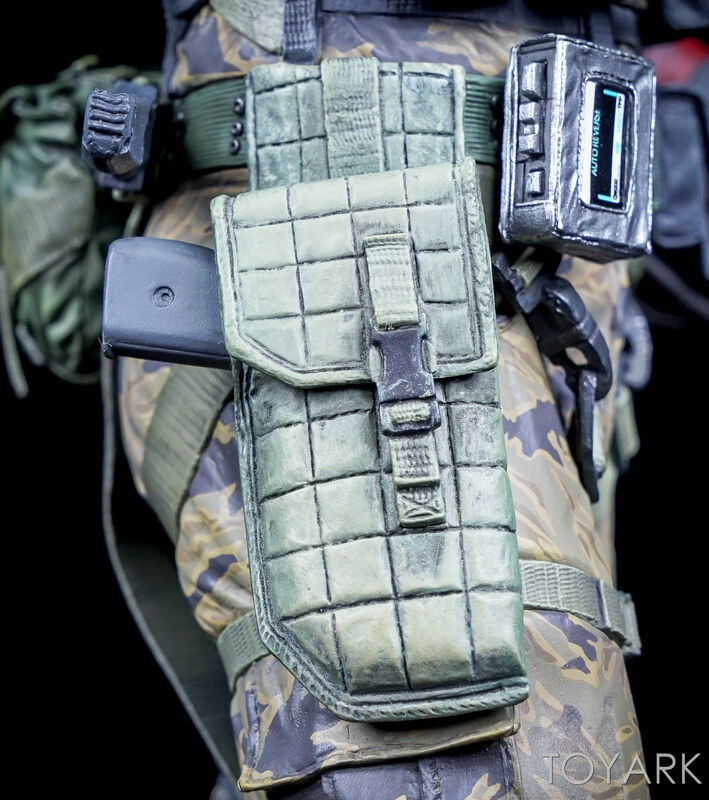 The parts all attach easily and swap out with no trouble at all. 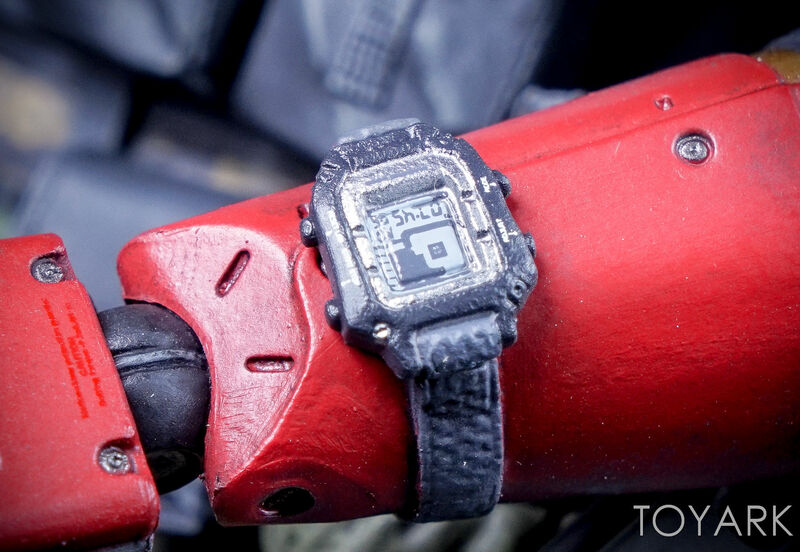 Some of the plastic used here is very thin, so take care where you are applying pressure. Once assembled, the statue looks excellent. 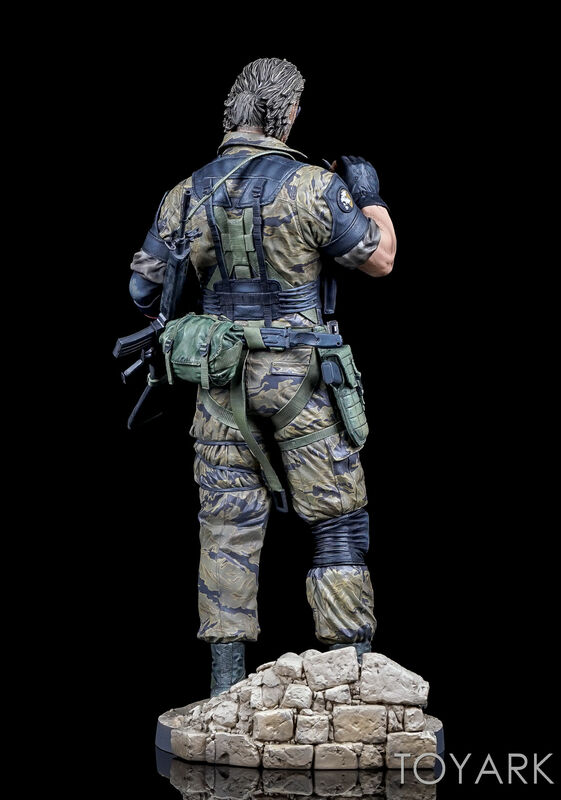 As with all of Gecco’s statues, the detailing throughout is outstanding. 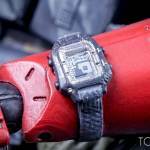 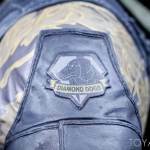 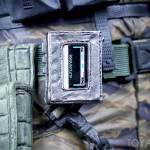 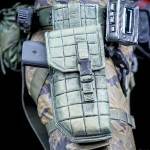 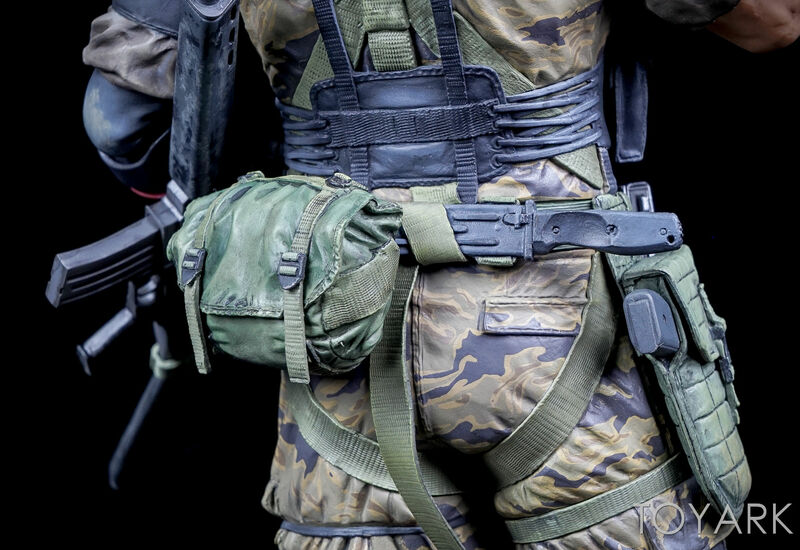 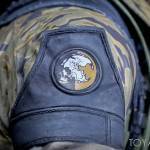 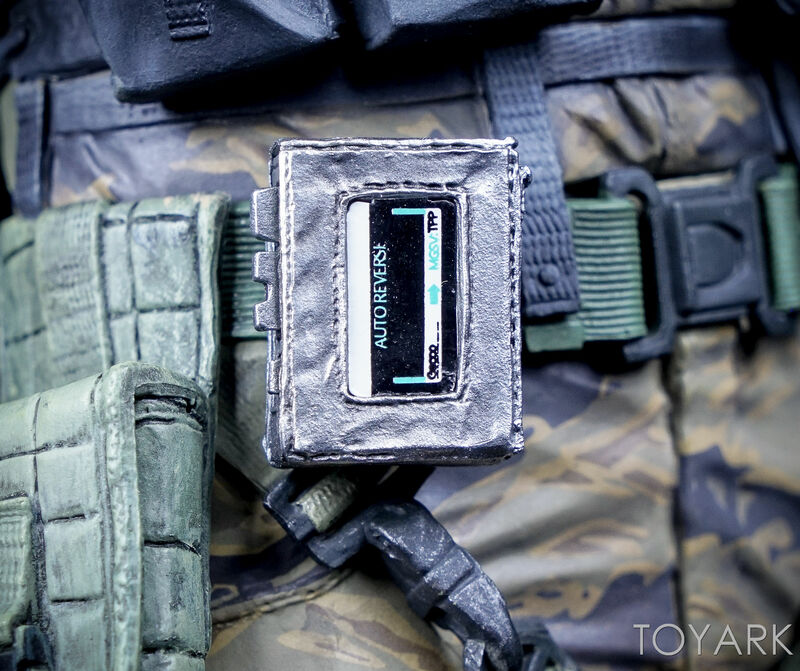 They took great care to differentiate between different materials, adding fine texture to the pouches, and clothing. 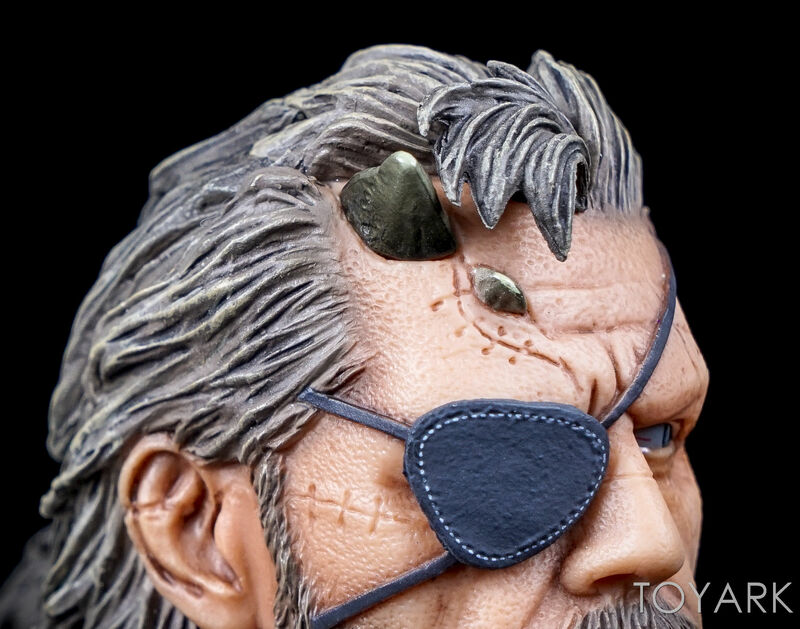 You will even notice pores in the skin on some of the close up photos. 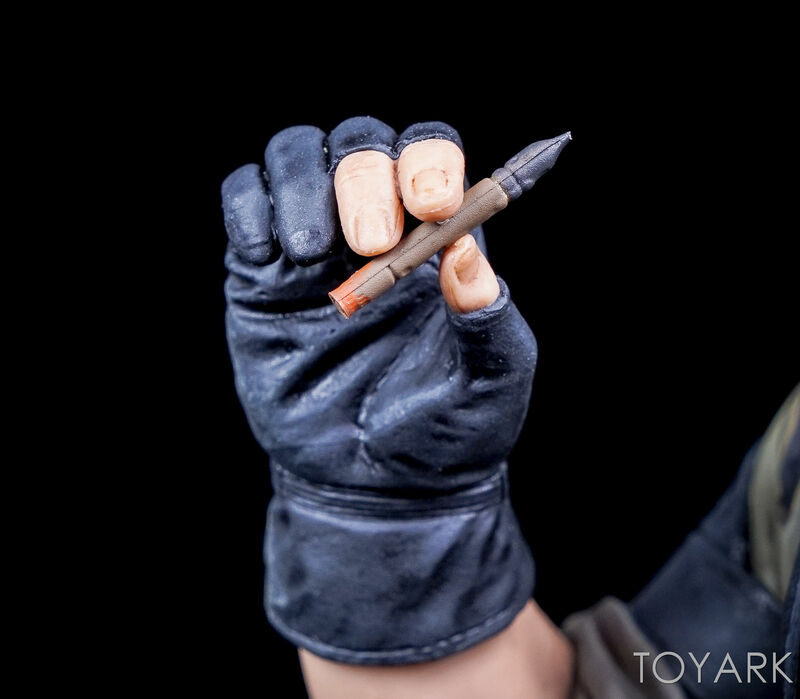 The paint is handled equally as well. 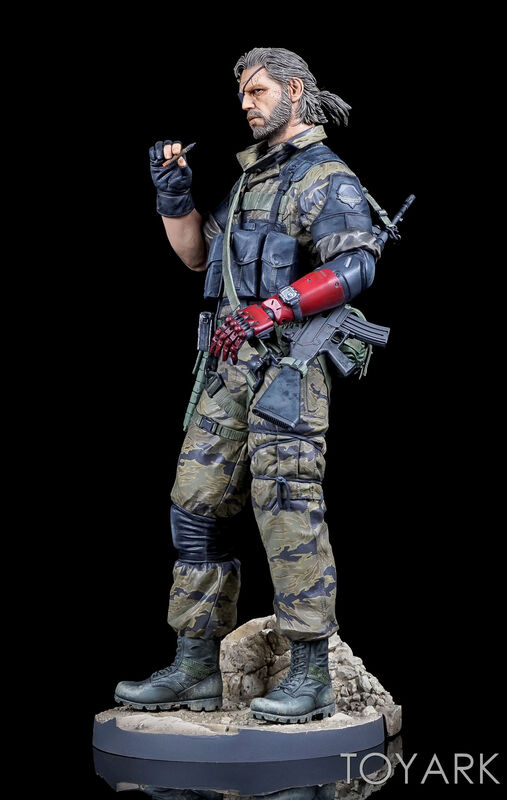 There are no noticeable paint bleeds and the colors have a nice balance between the outfits, the skin and the robotic arm. 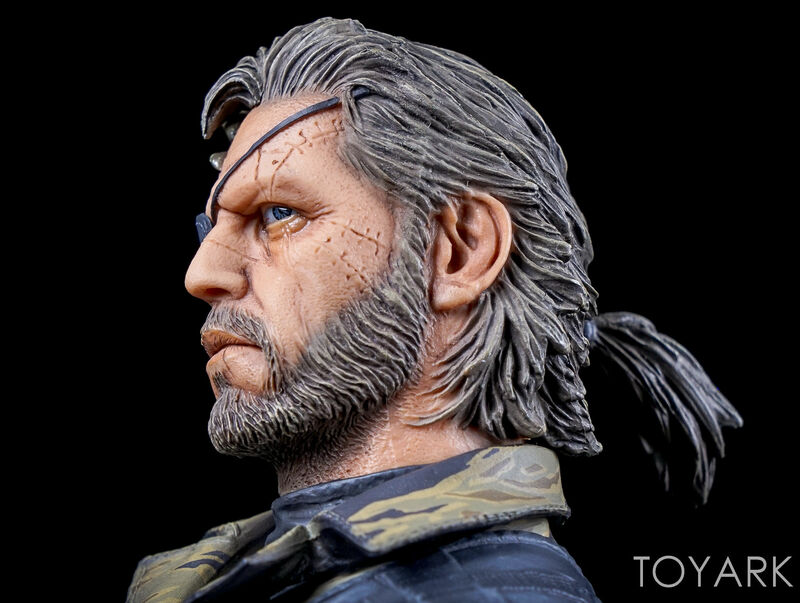 The skin has a nice, almost translucent and life-like paint treatment. 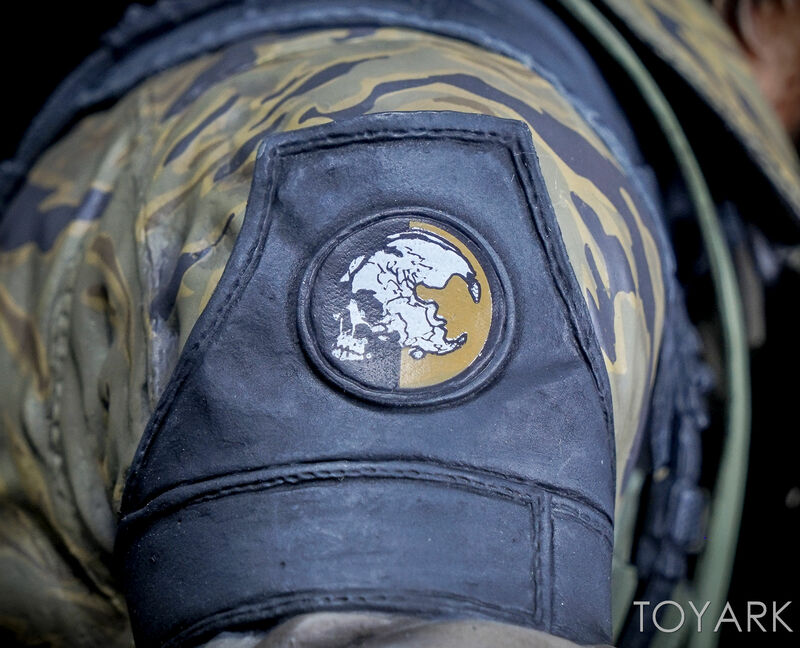 The clothing, weapons and base all have subtle paint washes over them to bring out the details. 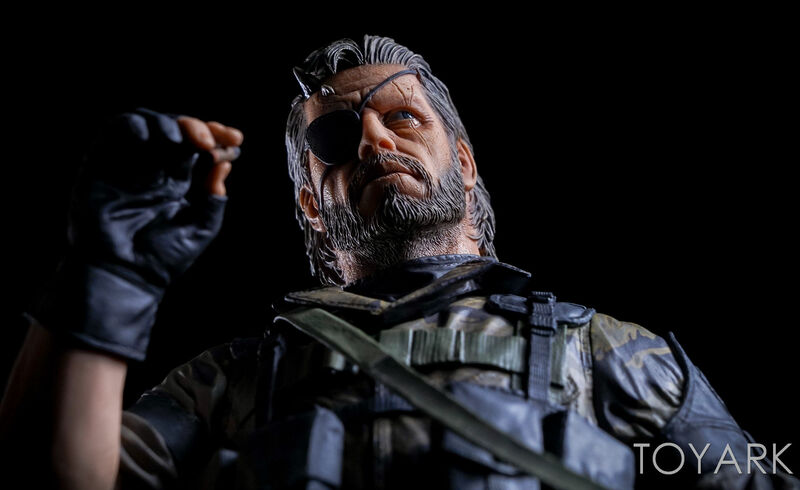 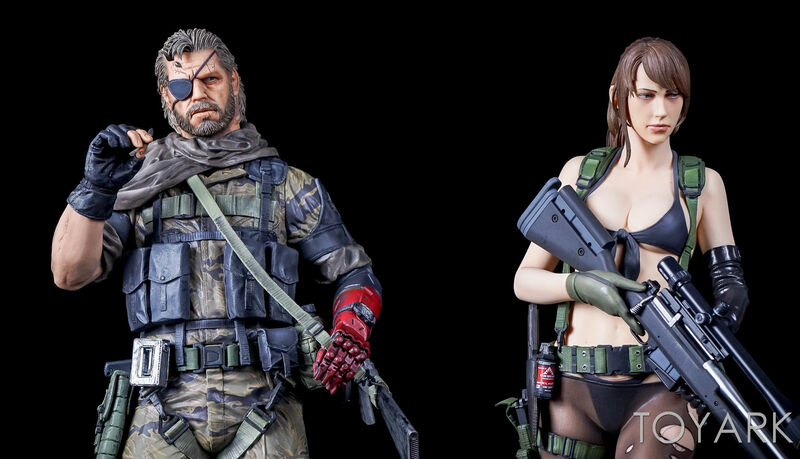 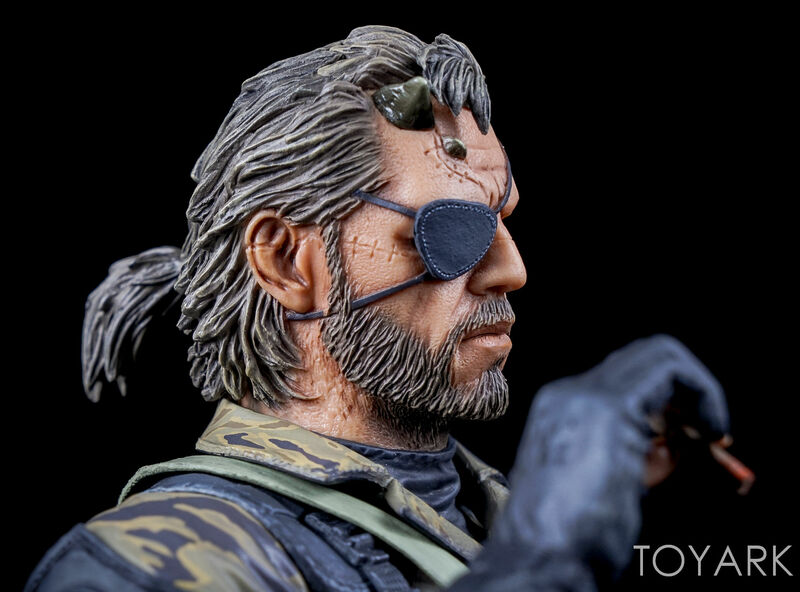 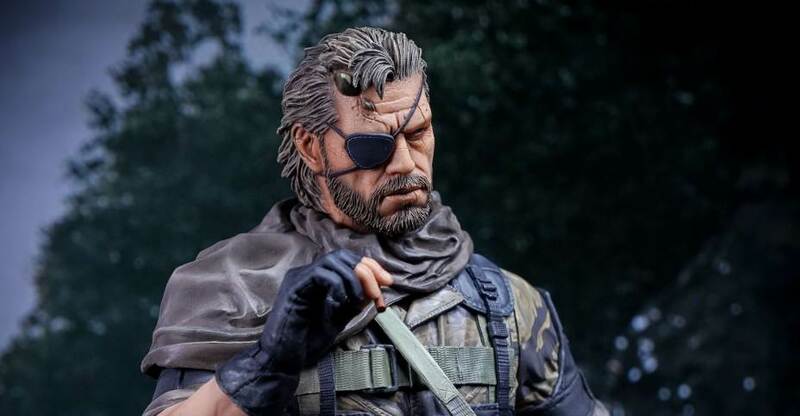 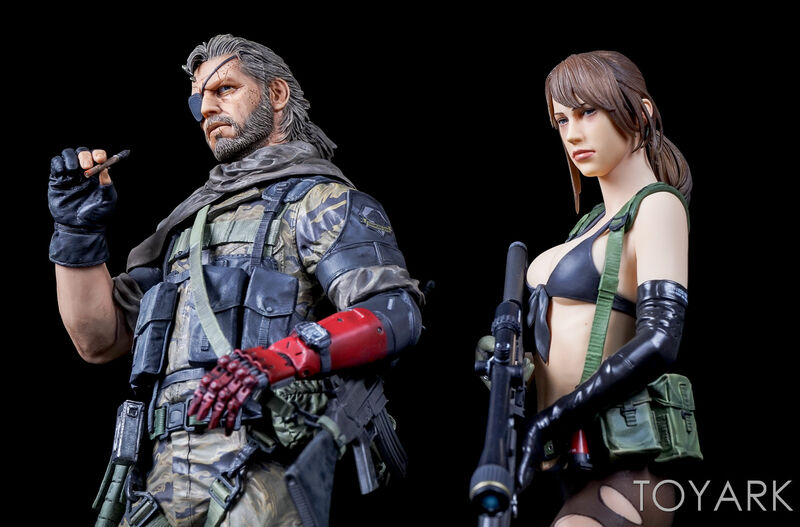 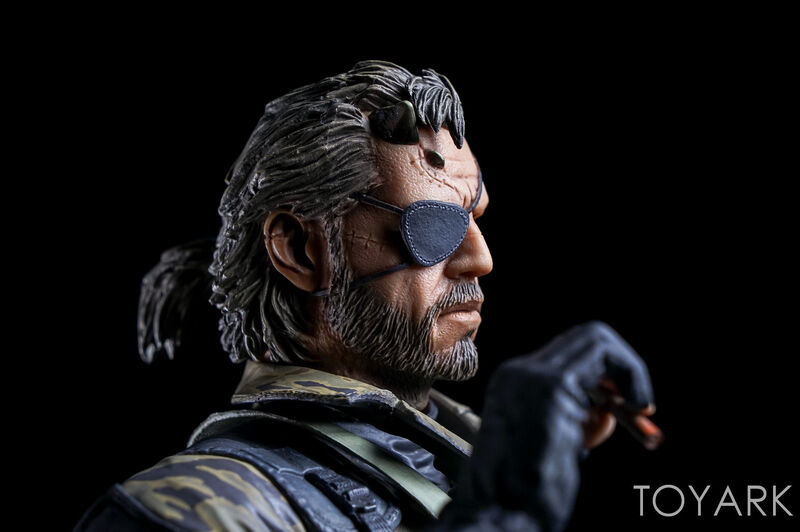 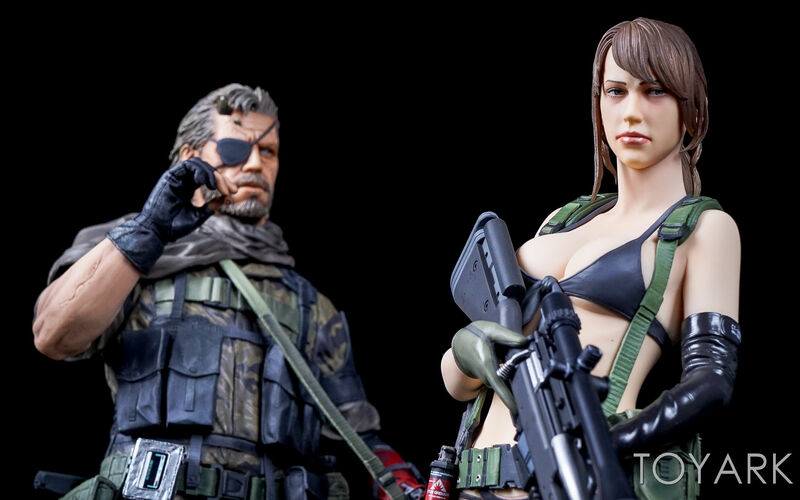 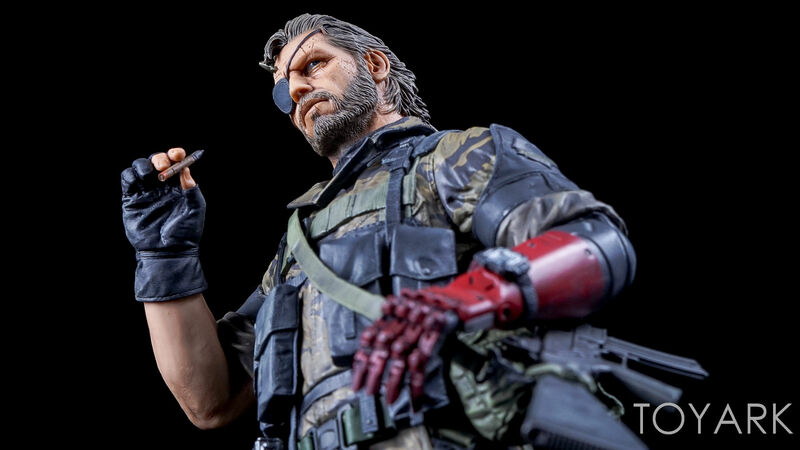 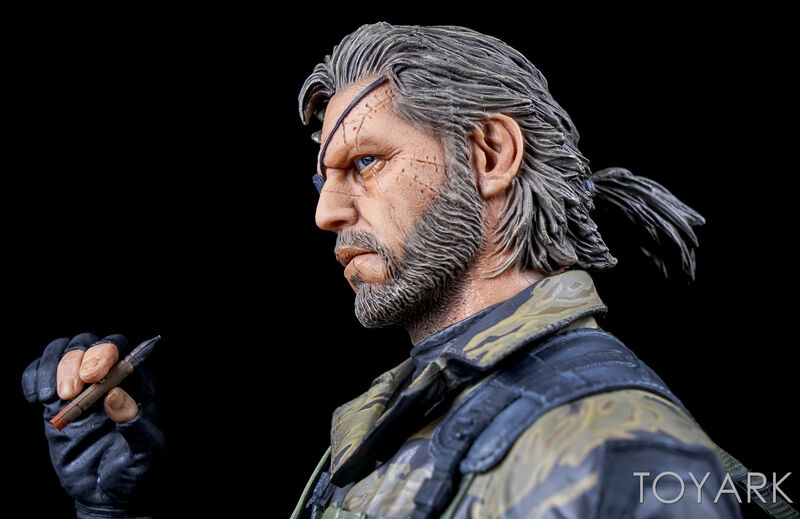 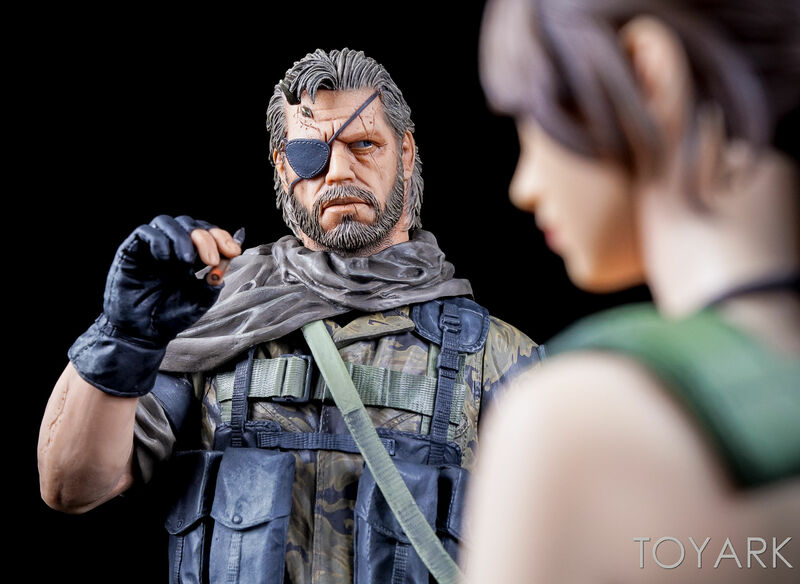 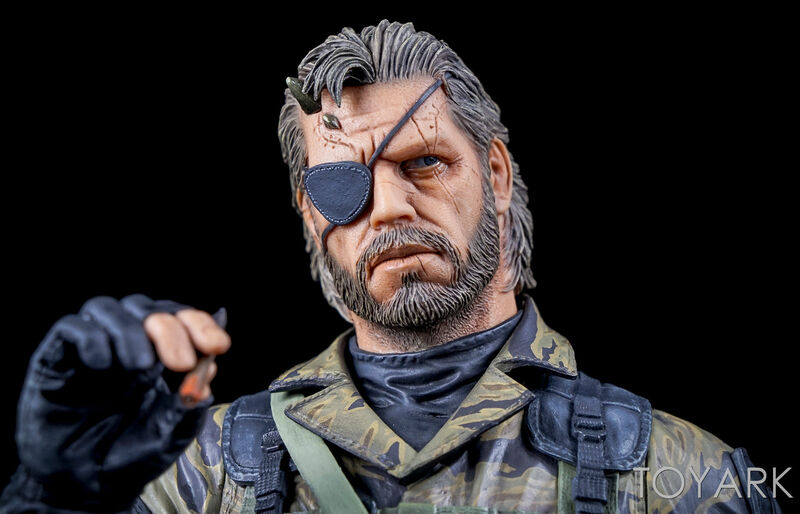 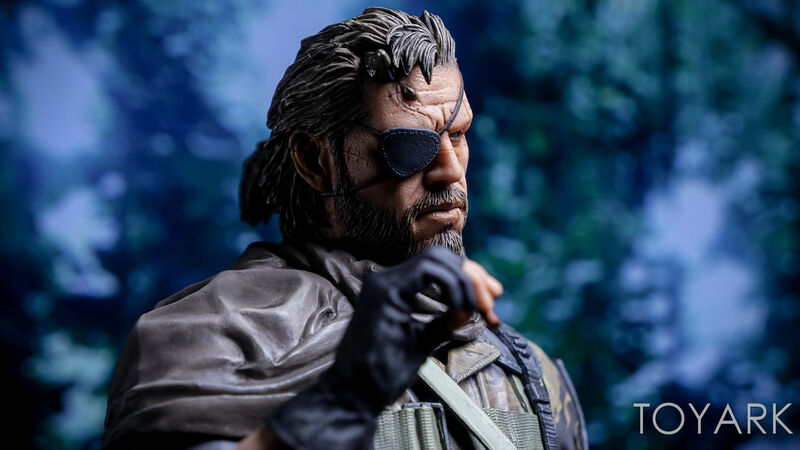 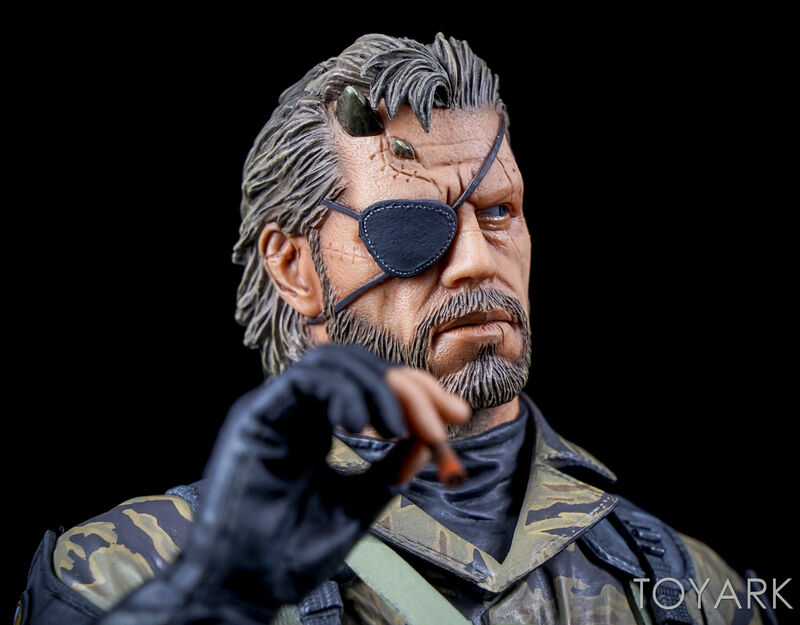 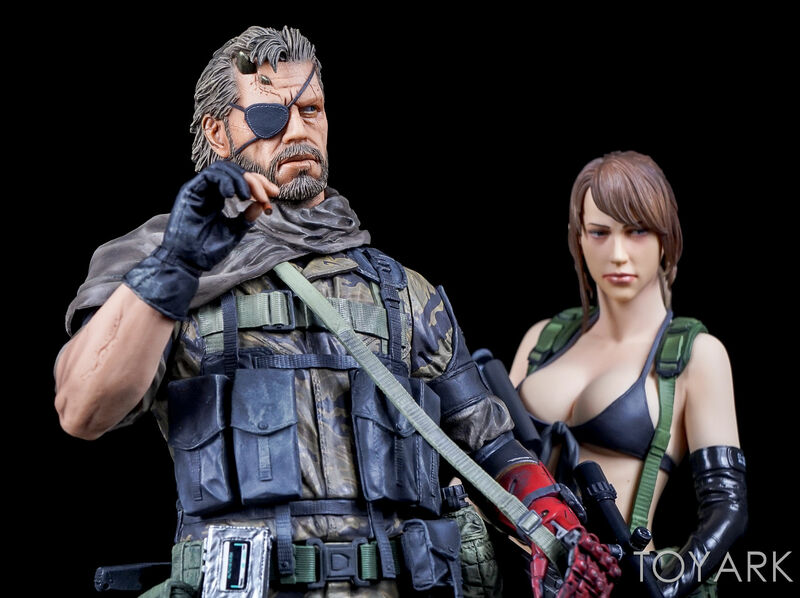 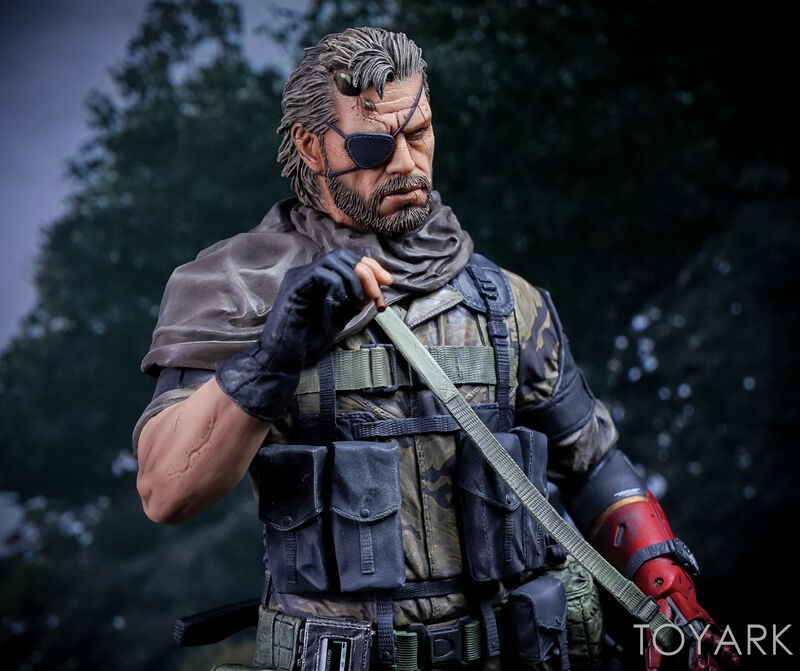 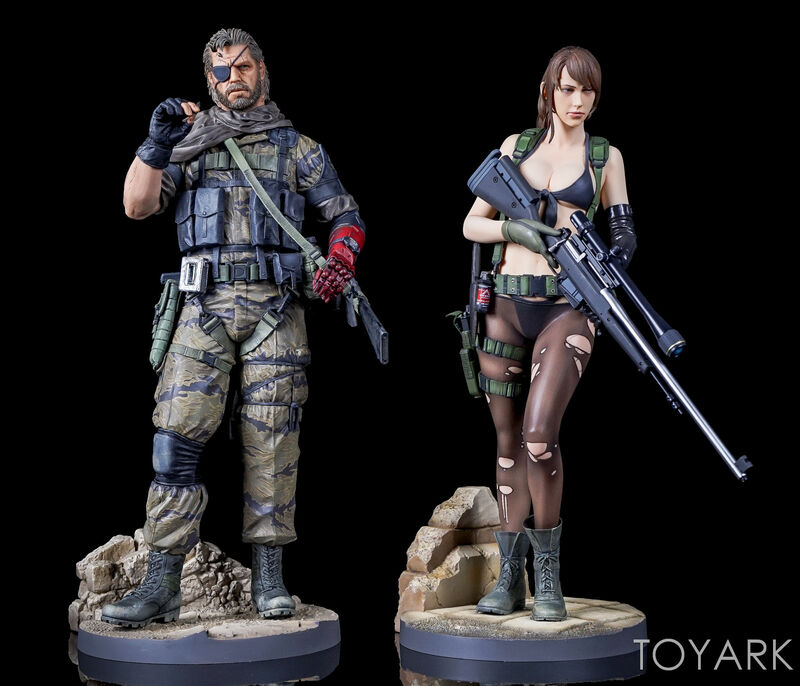 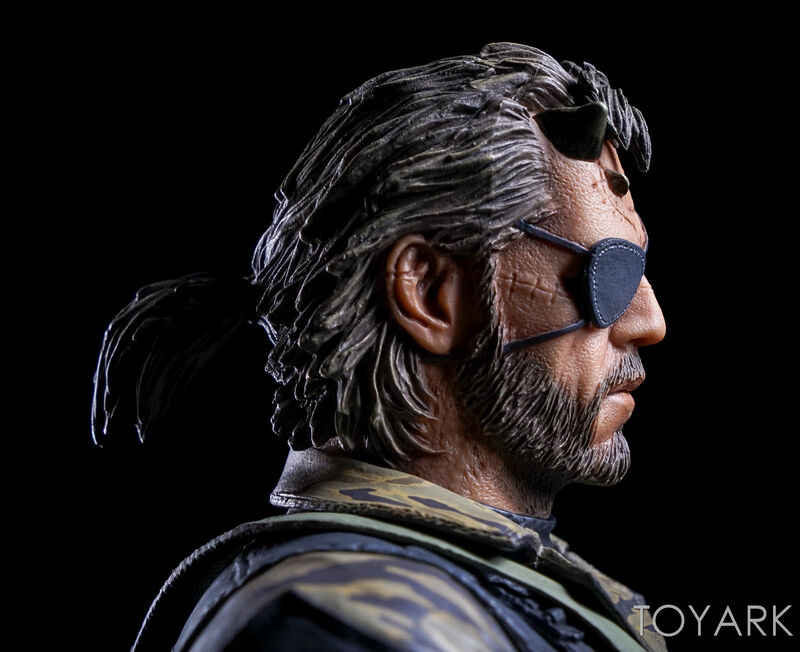 The only real downside is that, compared to the Quiet and Ground Zeroes Snake, the Venom Snake statue is a little light on accessories. 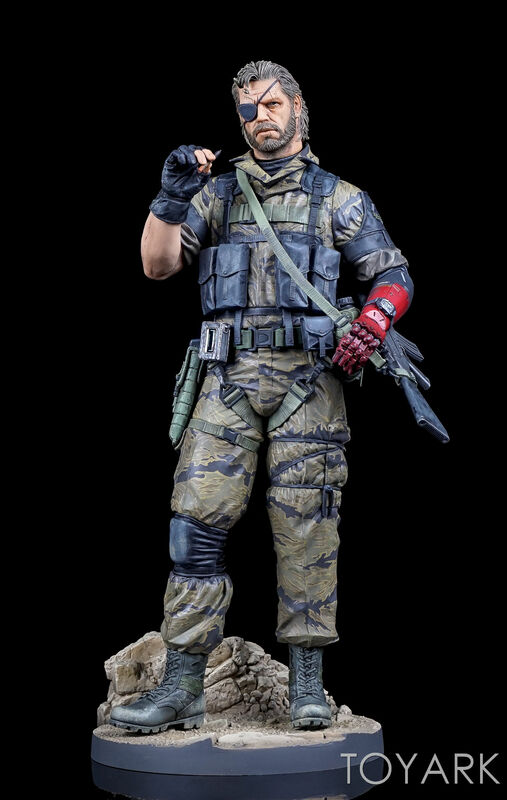 there are no interchangeable heads, arms or weapons. 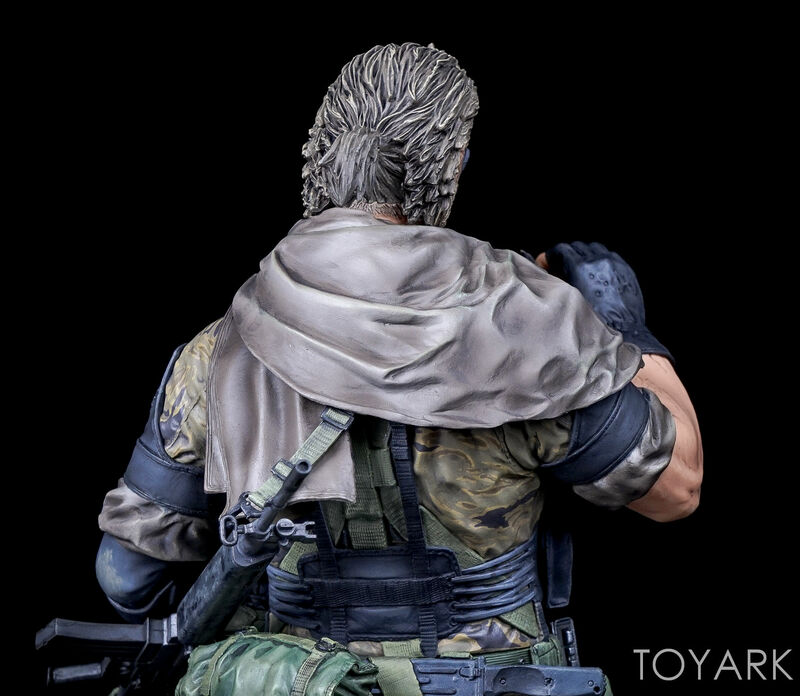 The only real swappable piece is the scarf. 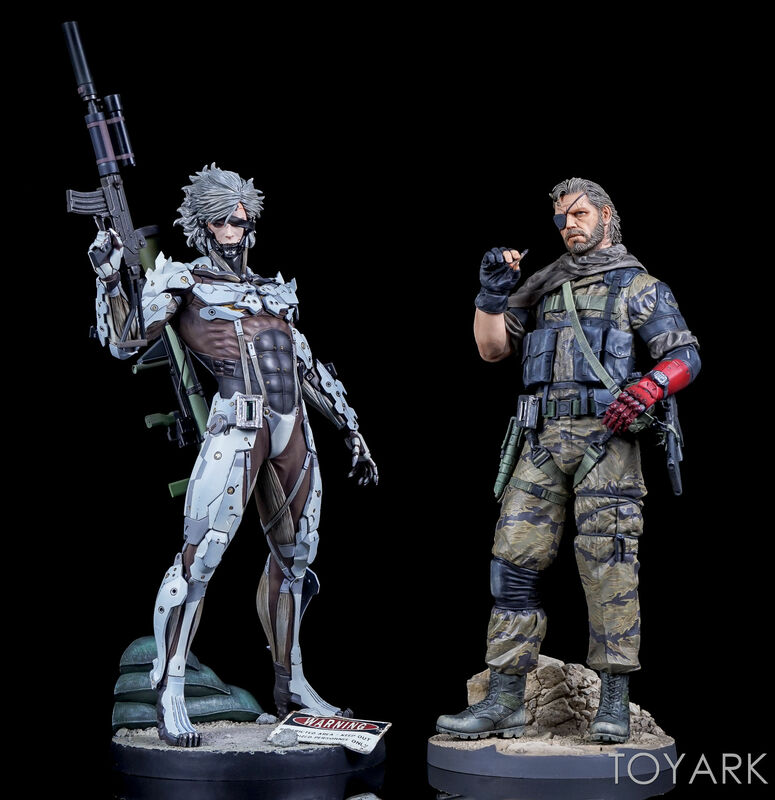 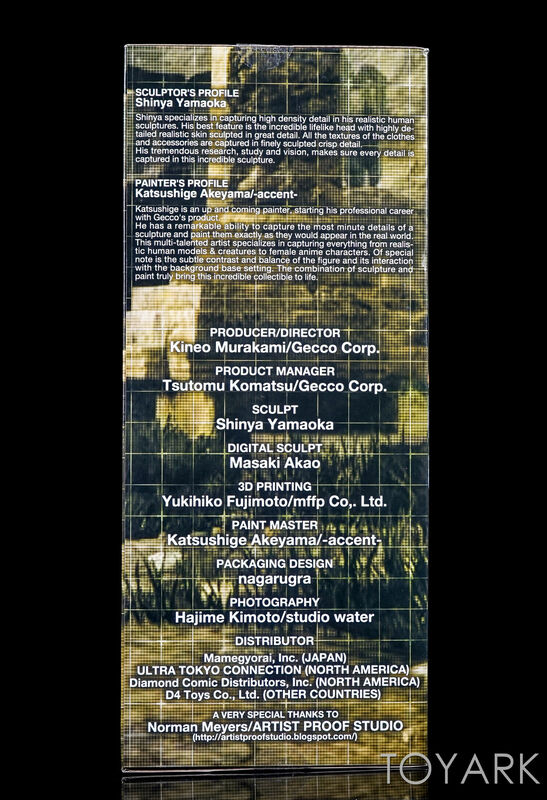 Outside of that, this is another excellent release in the Metal Gear line from Gecco. 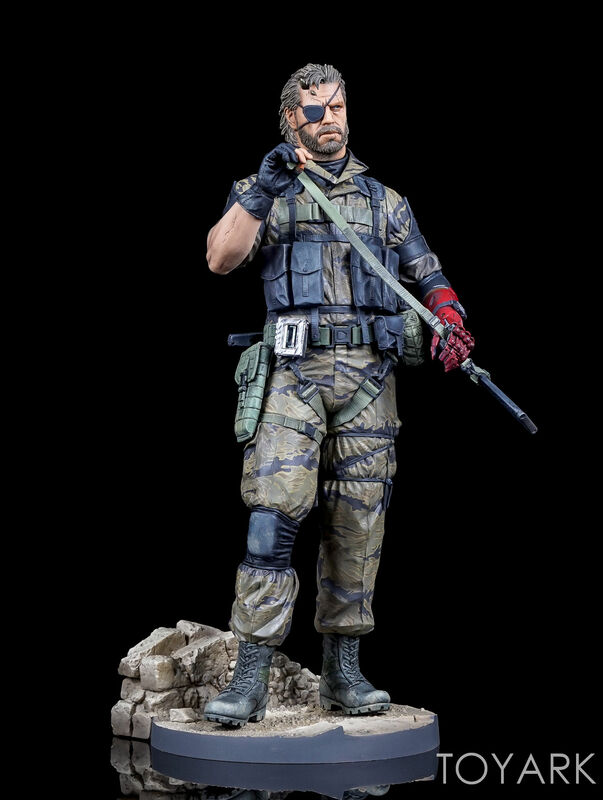 Venom Snake looks pretty much exactly how he does in the game. 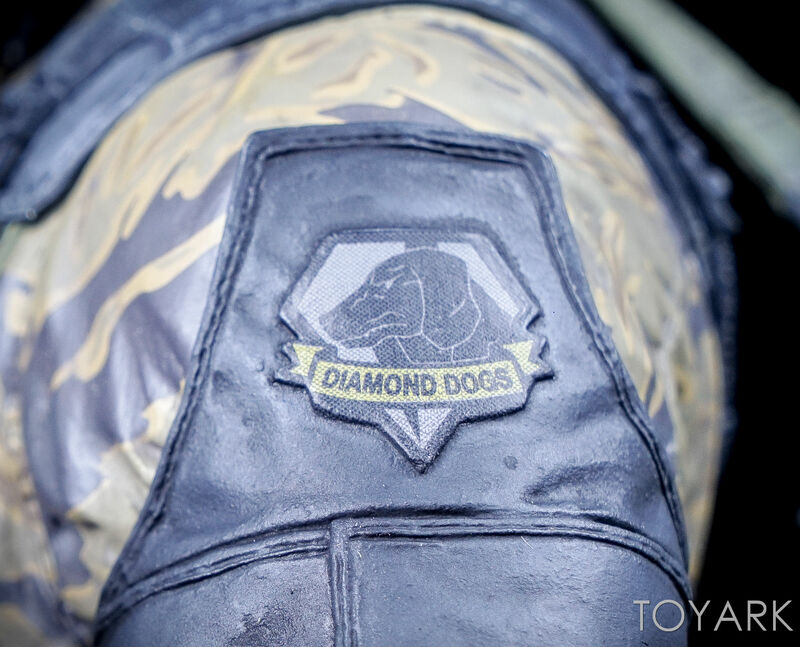 Check out some highlight photos below, with the full gallery after that. 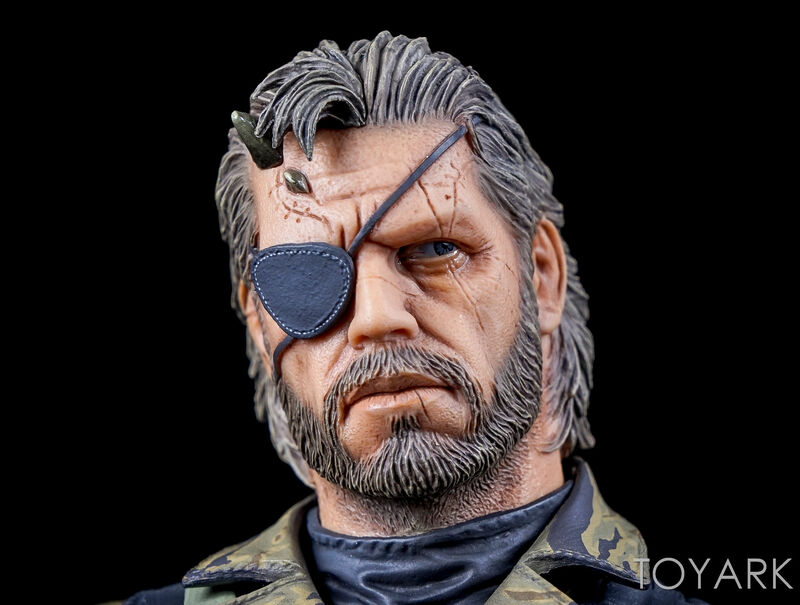 The face reminds me of the guy that played bull on night court.